The $81 billion disaster aid package contains a provision that would make cotton growers eligible for a commodity price support program under Title 1 of the Farm Bill. In addition, the language makes growers eligible for the Price Loss Coverage (PLC) program and removes the $20 million cap on the Livestock Gross Margin program for dairy. 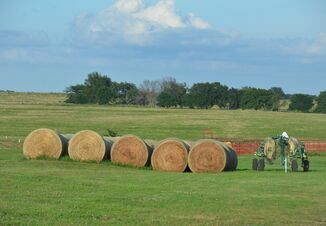 Sen. Jerry Moran (R-KS) says the bill will reduce fighting among different sectors of agriculture by increasing the amount of money available to fund the Farm Bill. “While the spending amounts will still be challenging it means there will be less of trying to take money out of one thing that’s important to agriculture to pay for something else that’s important to agriculture,” he says. 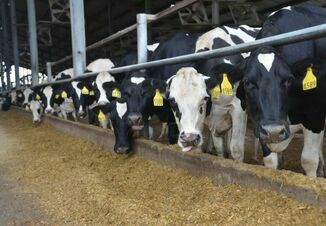 "Expanding insurance options for dairy farmers is a good first step - but there's more we can do to help our producers recover from tough economic times and lay the groundwork for further progress in the 2018 Farm Bill,” she said in a statement. “As the Senate completes its work on the disaster package, I will continue to support the Margin Protection Program improvements that Senators Cochran and Leahy made in the Senate Agriculture Appropriations Bill." During his address to the American Farm Bureau Federation national convention attendees, President Trump said he was “looking forward to working with Congress to pass the farm bill on time, so that it delivers for all of you.” Only time will tell if Congress is in fact able to pass a new Farm Bill in 2018.